We’ve been making some big changes to the subscription this month! After speaking to A LOT of our subscribers, the number one piece of feedback we received is that we’re too generous! It was too difficult to get through all the products we were sending within the space of a month and most shavers were ending up with a backlog of products that was filling their bathroom cupboards to breaking point. We’ve listened to our subscribers and have now changed the subscription from a monthly service to every 6 weeks. This means you have more time to get through the products we’re sending. This also means that the subscription is now cheaper! Rather than paying £24.95 per month (or less if you pay for multiple months up front), that cost is now spread out every 6 weeks, essentially making it cost a third less. Happy Days! 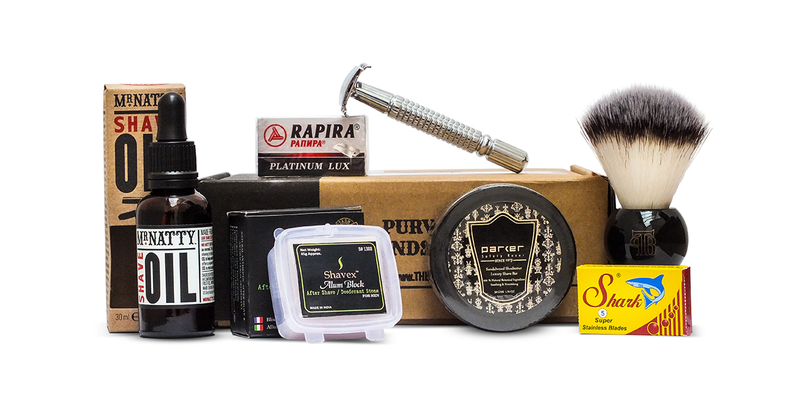 Parker are a family-run business from India that are most especially known for their excellent line of razors and shaving brushes. For almost 50 years they have been supplying their quality products all over the world and now have a huge range that includes all kinds of beautiful razors, brushes, stands, combs, bowls and even shaving soap! Made using genuine Ethiopian sandalwood and shea butter, this shaving soap creates a light lather at first but after a bit of work it becomes rich and protective and leaves the skin feeling cleansed. We particularly like how different the Ethiopian sandalwood scent is compared to other sandalwood scented products. It’s not as sweet and instead has a real muskiness that intensifies once lathered up. The tub that the soap comes in has quite a narrow neck so we found it’s best to scrape off the amount you need and build your lather separately. To use: There are two ways you can go about generating your lather with this soap, option 2 is probably easier. 1. 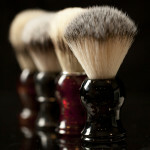 Load a slightly damp shaving brush on the top of the soap until the brush is fully loaded. Due to the narrow neck, this can take a bit longer than with other soaps so keep working it until you feel your brush is sufficiently loaded. Then start building the lather in your hand, on your face or in a bowl, adding a drop of water at a time until the correct consistency is achieved. Keep working it until it becomes thick and creamy. 2. Scrape off an almond sized lump of shaving soap and spread it into your shaving bowl to increase the surface area as much as possible. You can add a small drop of warm water to get the soap to dissolve a bit first which will make it easier to lather. 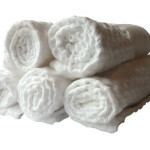 Start building your lather as above with small increments of water until the desired consistency is achieved. Launched in 2011 by Matt Raine and Matt Brooke, the Mr Natty range was born as a response to what they believed was missing from their bathroom cabinet; something that spoke to them. Drawing from their expertise as a British Royal Court Barber and as a creative director working with some of the biggest fashion magazines and brands in the industry, they were able to create a range of high quality male grooming products using top ingredients and stylish branding. Their shave oil is a blend of grapeseed, sunflower and olive oil that creates a beautifully light product that absorbs into the skin and beard whilst keeping it protected from the blade. 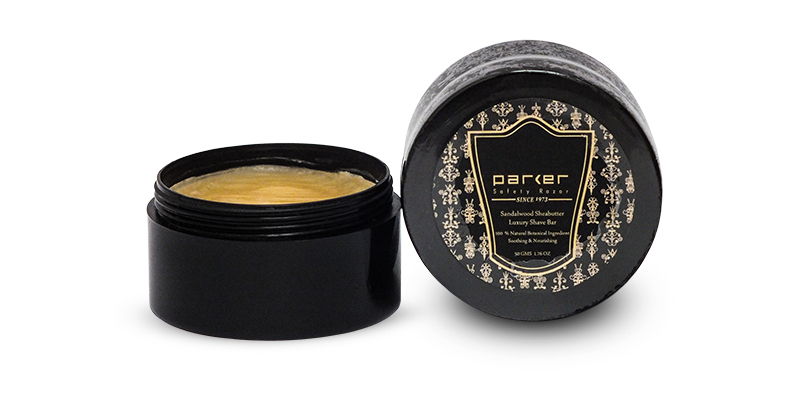 Best when used as a pre-shave before applying your lather as this creates an extra barrier to prevent cuts or razor burn as well leaving a silky-soft post feeling. Scented with a combination of peppermint, olive and bergamot it’s got a satisfying fragrance without being too sweet. 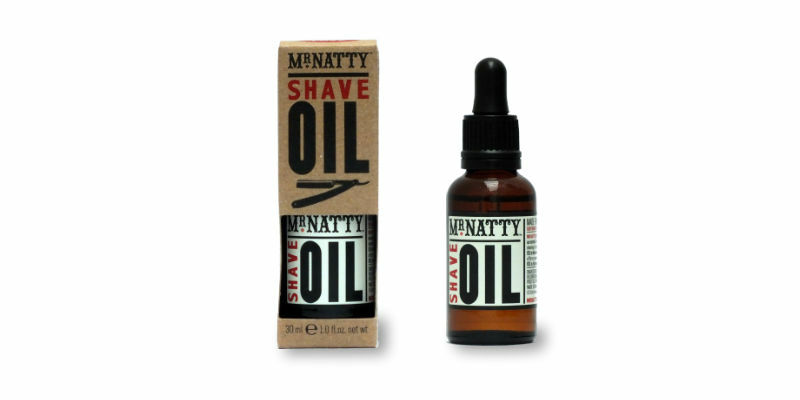 To use : Rub a couple of drops of the oil into your beard as soon as you get out the shower and let sink in for at least a full minute. Use this time to start lathering up your shaving soap. 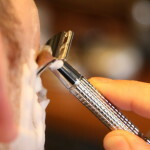 If you re-lather up for a second or third pass, make sure to add another layer of oil beforehand (you don’t need to wait a minute to sink in this time, just keep shaving). 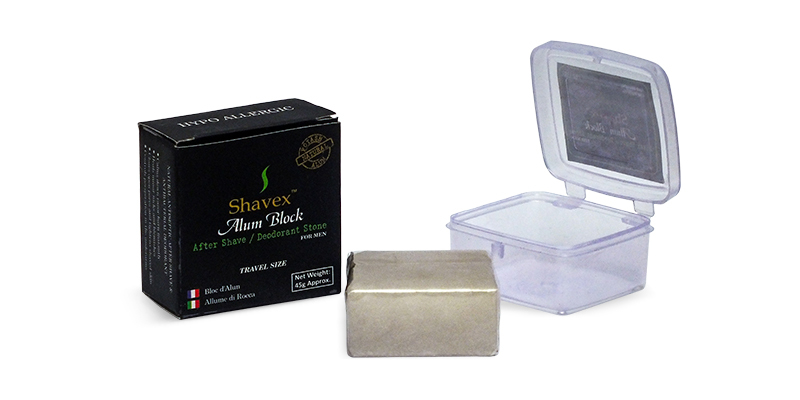 Another brand from India, Shavex originally started back in 2006 as the brainchild of a group of traditional wet shaving enthusiasts that believed the alum block was an essential piece in every shaving kit. We’re inclined to agree! 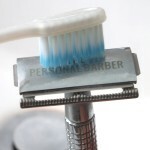 Made from pure Potassium Aluminum Sulphate (the chemical name) it’s the perfect post-shave item. Usually used as an astringent to stop bleeding by constricting the blood vessels but it also tightens pores and acts as an antiseptic that kills any surface bacteria. The alum block is intended to be rubbed all over the shaved as opposed to a styptic pencil that is meant to only be applied to a cut. By far our favourite use of an alum block is a way to monitor how good your shaving technique has become. Poor technique or blunt blades are often the cause of microscopic cuts and nicks that you can’t see but you’ll feel as a slight stinging sensation when you use the alum block. You can use this stinging to identify areas of your face where you are perhaps not being careful enough or it could be a signal that your blade needs changing. Once you’ve completed a baby-bum smooth shave and don’t feel a thing when you rub the alum on your skin, you know you’ve mastered it. To use: Immediately after shaving, splash you face with cold water and then apply a moistened alum block all over the area. Once done, wash it off with cold water before applying any other post-shave product. Store the stone in an open, dry space to prevent it from dissolving. 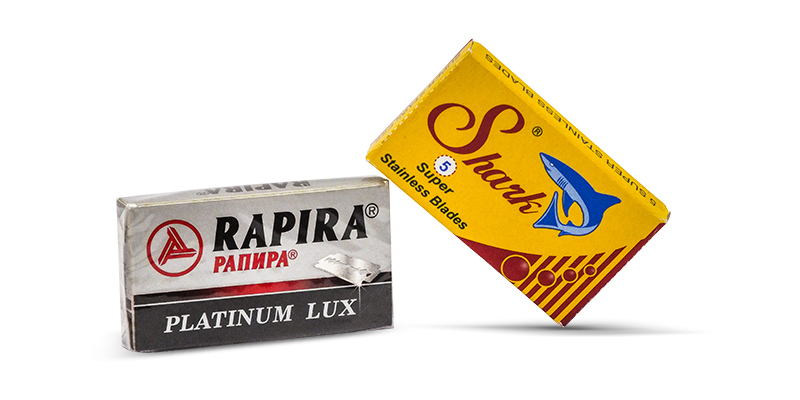 Made in Russia, the platinum lux blades are a fantastic blade that are sharp whilst still being forgiving and have great longevity. 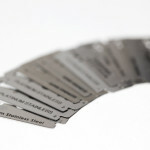 A popular blade that will last between 4-7 shaves depending on the thickness of your beard type. Try properly drying your blade in between shaves to retain that sharp edge as long as possible.